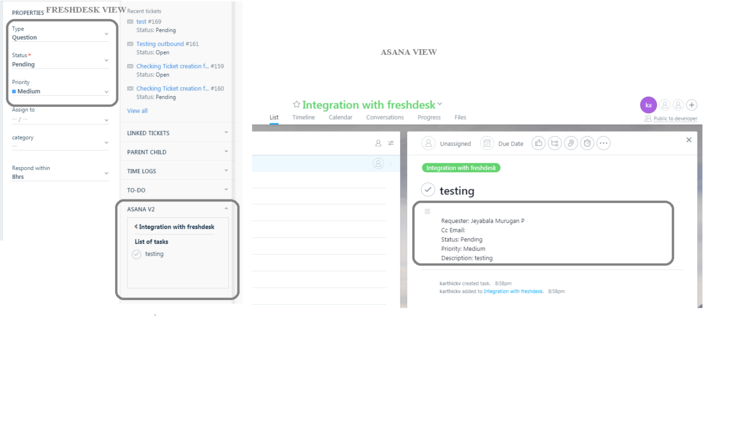 Asana app for Freshdesk helps you to access project details and add your Freshdesk tickets into Asana as tasks for easier tracking and follow up. 1. 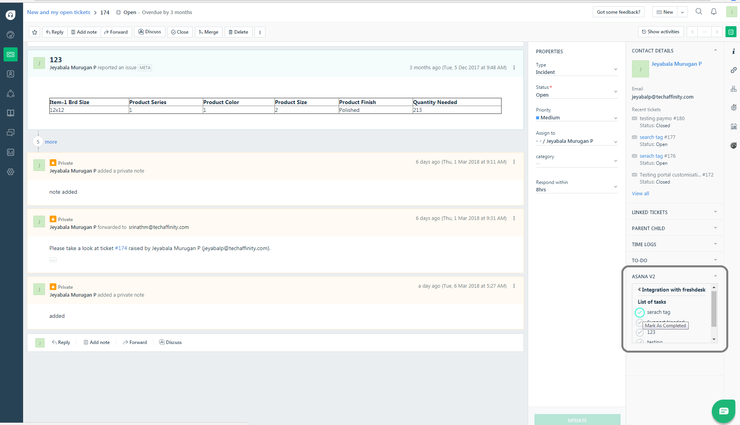 Agents will be able to view projects and tasks from Asana account inside Freshdesk. 2. This app creates tasks using Freshdesk ticket details automatically in the Asana account by choosing the project. 3. Any changes made to a Freshdesk ticket (reply, add note, etc.) the same is reflected as a comment in Asana for the respective task. 4. This app lets you manage Asana tasks as completed by clicking "Mark as completed" from within the widget in Freshdesk. - This app needs you to have an account with Asana. 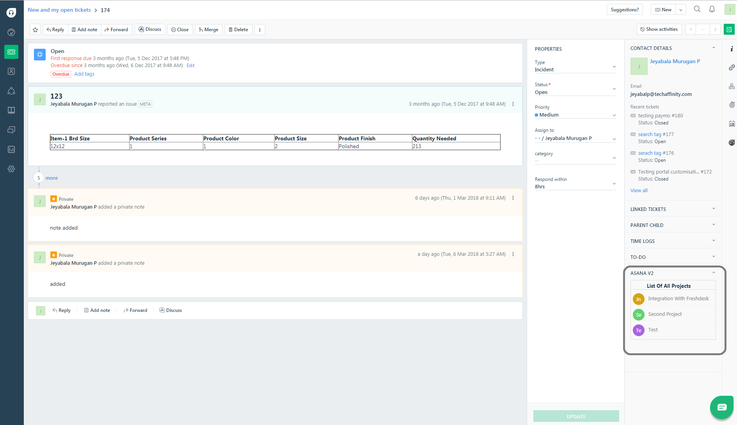 - Update the access token, domain name and API Key on freshdesk while installing.